To many people, Greece is known mainly as a country with beautiful turquoise colored waters, vivid architecture, and delicious cuisine. While this is true, Greece is also rich with history. Greece is home to over 18 unique UNESCO sites that you can visit. 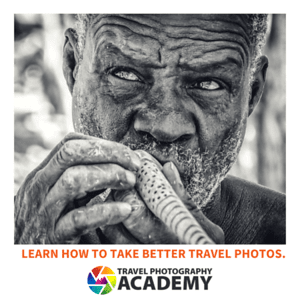 Because there are quite a few, finding the right sites to visit on a short trip here can be a little difficult. 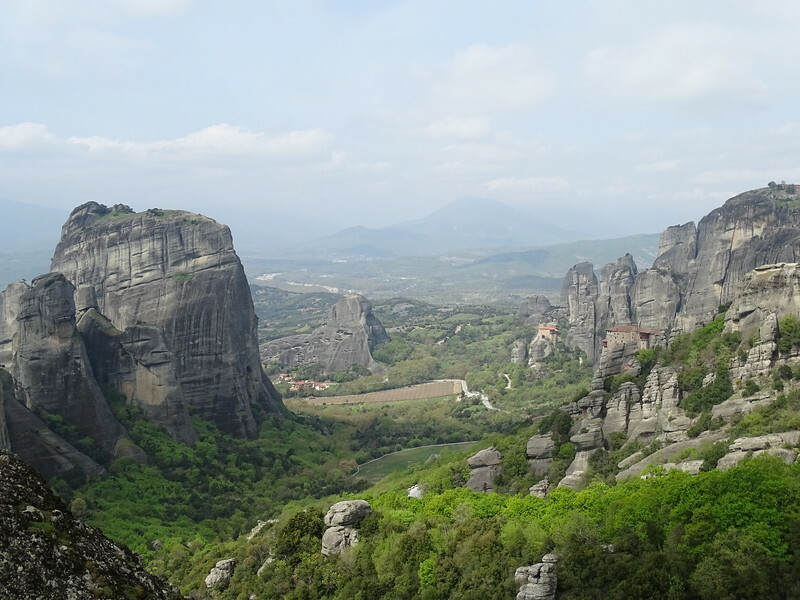 To help you, this article will highlight the top UNESCO world heritage sites in Greece that anyone traveling to there should consider visiting. No trip to Greece is complete without a trip to the iconic Acropolis. This towering figure is located on a large hill that overlooks the city of Athens. 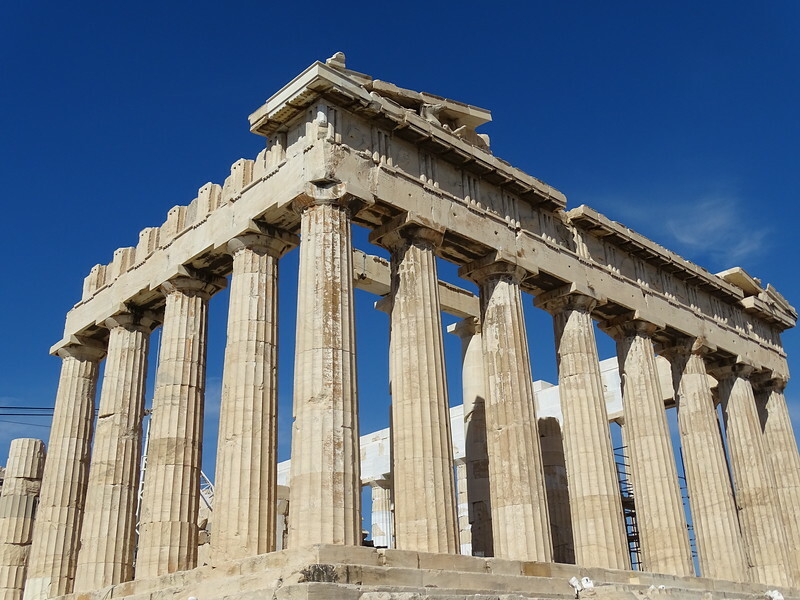 The Acropolis is well-known for its rich history, ranging from politics to mythology. This ancient structure is the place where it is believed democracy was created. It also served as a place to honor Athena, the goddess of justice and wisdom. Located in Phocis, the ruins of Delphi is yet another great historical site to visit. Situated below Mt. 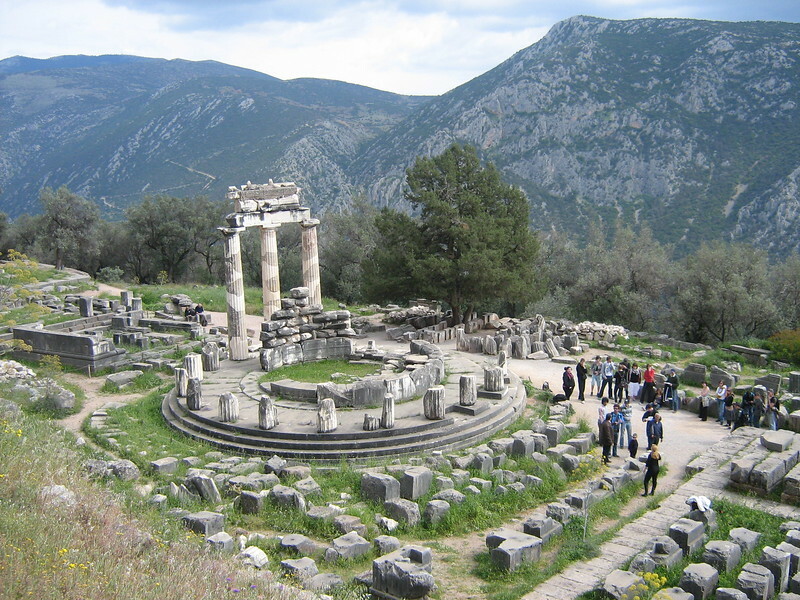 Parnassus, the archaeological site of Delphi features intricately carved crumbling columns and other ruins you can view. This site was also believed to be a place where Apollo once spoke so it’s filled with religious art and statues. Besides being used as a religious center, it also served as a place where many ancient athletic games once took place. If you want to learn more about the artifacts found at Delphi, you can visit its museum. You can see items like bronze cauldrons and the Sphinx of Naxos statue. 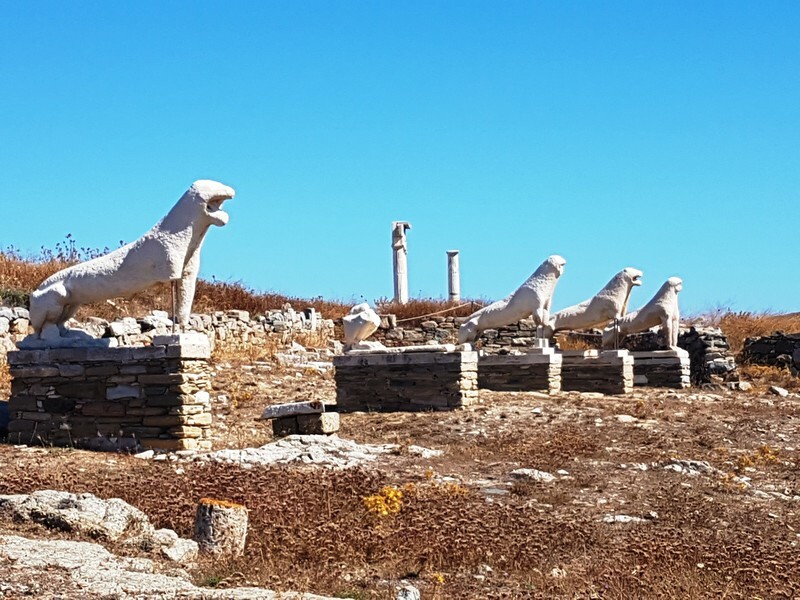 Delos, an island part of the Cyclades Islands, is one of the largest archeological sites in the world. To access this sacred island, you’ll have to take a boat across the Aegean Sea. Once you arrive you can step out and view this beautiful island where it is believed Apollo was born. You’ll find plenty of historic artifacts here which can help you learn more about its unique history. For instance, this island was so sacred, due to it being Apollo’s birthplace, that no one on the island could be born or die on it. 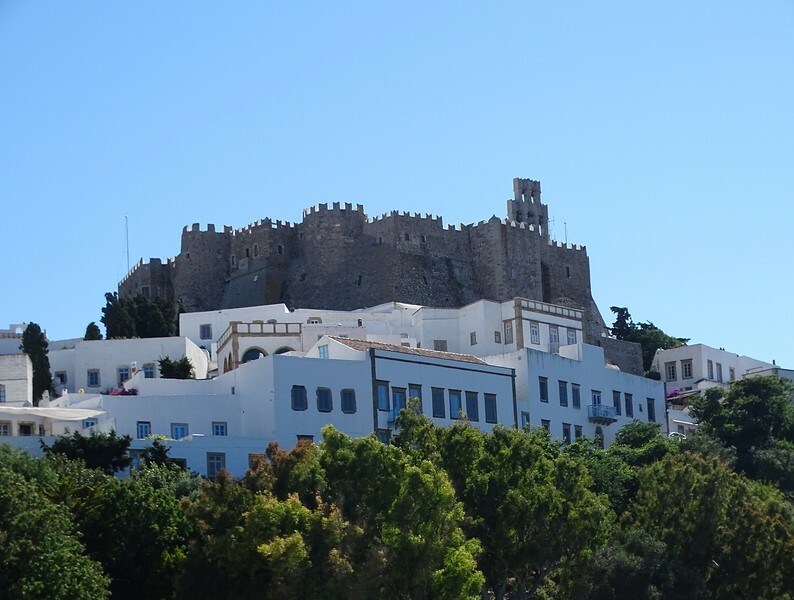 This site is located on the island of Patmos and is believed to be the place where St. John wrote his Gospel books. The monastery of this UNESCO site was made back in the 10th century in honor of St. John and offers a magnificent view of the city below. Nearby this site is the Cave of the Apocalypse where St. John was given the inspiration to write the Biblical book of Revelation. This historic city has been the site of many conflicts and battles. It was once under rule by the Turkish and Italian armies and this is evident with the various architectural styles and artifacts found here. Most of the buildings here though feature Gothic and Renaissance architecture and are very intricately designed. One iconic building you can visit is the Palace of the Grand Masters. 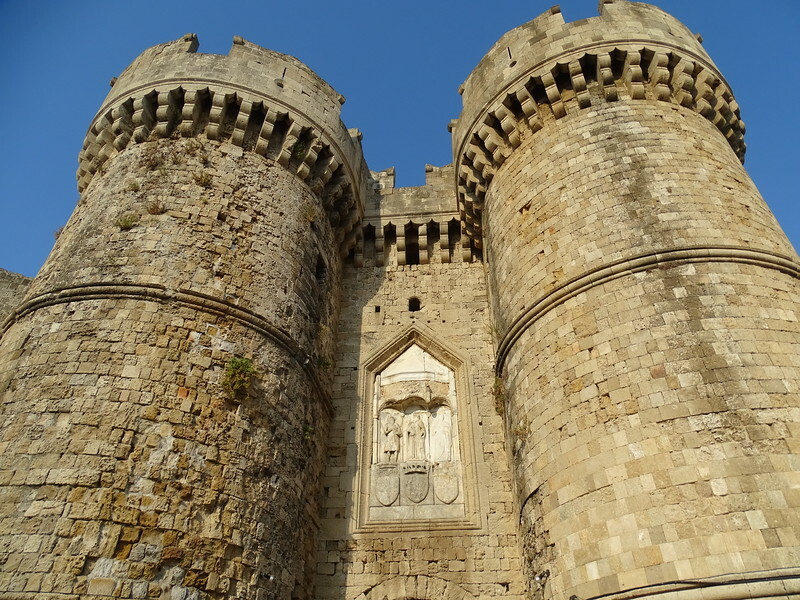 This castle features many stunning towers and walkways you can explore. Inside you’ll also find plenty of old art pieces, like Byzantine mosaics, you can view. 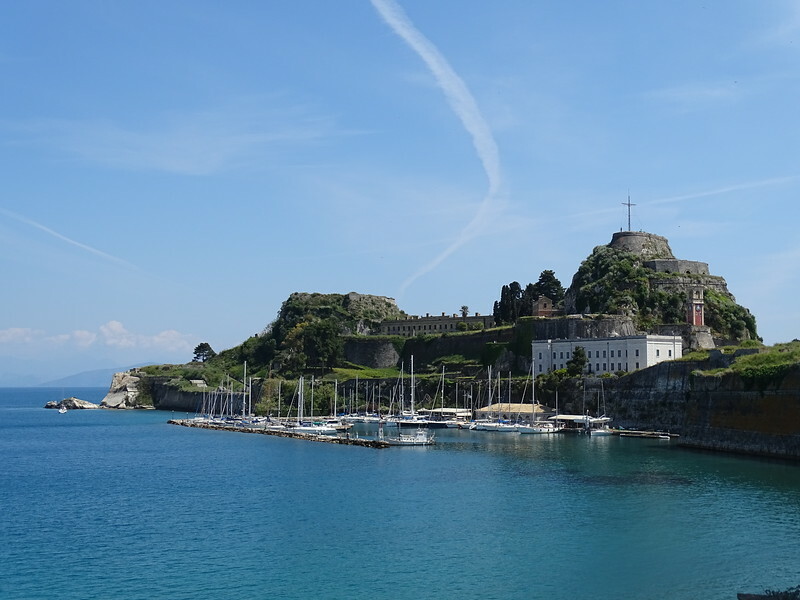 The old town of Corfu is a colorful and lively UNESCO site you can visit. This small town is surrounded by the dazzling crystal-clear waters of the Adriatic Sea. It was founded back in the 8th century B.C. and is known for its rich history and unique architecture. Because this town was an important port city back in the day, its architecture and city design has a massive Venetian influence due to the many Italian merchants who would often visit here. For this reason, many people often compare its style and layout to Venice. Today, you can wander through this town’s many tiny and narrow streets and visit some local cafes, churches, and shops. Located near the Saronic Gulf in Peloponnesus, this UNESCO site was designed as a place to honor Asklepios, the god of medicine. Situated in the midst of large trees and native plants, you’ll find towering temples, stages, and hospital buildings. These were created as a way to help improve medical knowledge during those times and also to help those who were sick. There have been quite a few ancient medical treatment inscriptions found here that you can view. Meteora is a unique place not only because of its history but also because of its landscape. This extraordinary site features towering sandstone formations. On the top edges of these natural structures, you’ll find many different monasteries. 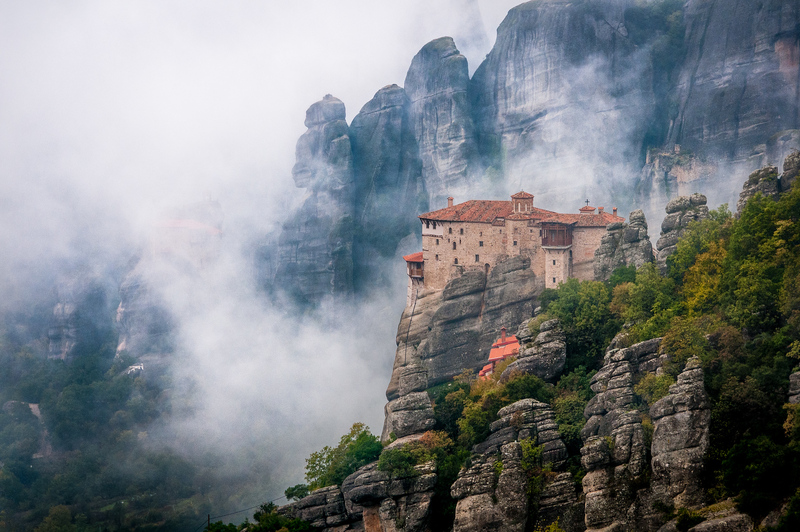 One popular monastery you can visit is the 14th-century Varlaam Monastery which is one of the biggest in Meteora. Another one is St. Stephen’s Monastery which can only be accessed by you traveling across a small bridge that connects two rock formations together. This site is home to the ruins of these two powerful cities of the Mycenaean civilization. Mycenae and Tiryns are considered to be the birthplace of many important parts of the Greek culture and even inspired some of Homer’s epics. You can visit these sites and walk through the leftover ruins of what were once considered indestructible cities. Mystras was built back in the 13th century and flourished as a place where artists and intellectuals of the time could stay and talk about their new ideas and projects. It’s situated between rolling hills and you’ll find plenty of beautiful cypress trees scattered throughout it. You can walk through this magnificent landscape while also experiencing the ruins of this town. You can visit a few monasteries, a castle, and a nearby museum which is home to many artifacts that were found buried here. 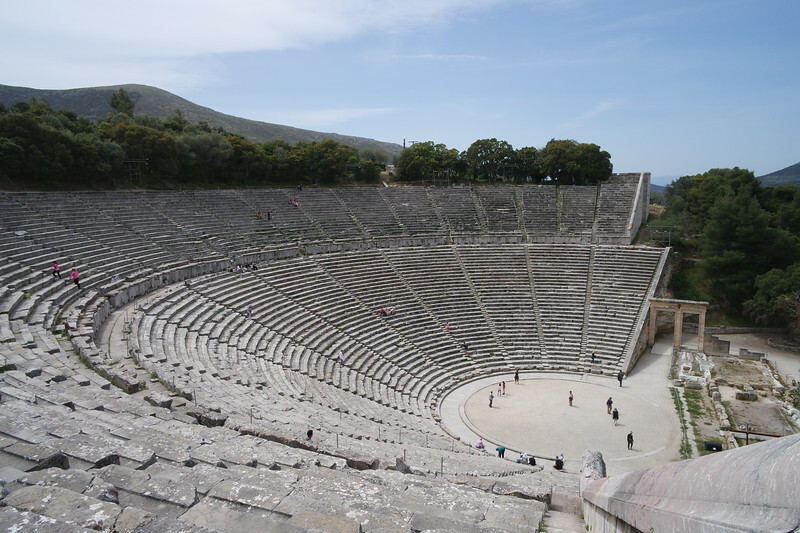 If you’re a fan of history, culture, archeology, or is someone who wants to experience some exceptional places while in Greece, you’ll definitely want to consider taking a trip to these Greek UNESCO sites. Not only will you be able to walk around on ancient grounds and in majestic temples, but you’ll be able to learn more about ancient Greece and walk in the footsteps of previous civilizations. It is amazing but I cannot find a small group tour of the magnificent UNESCO World Heritage sites. Here are probably the best documented places to visit in Greece, ones which the top experts in the world have declared to be “the best” – and yet no one organises a comprehensive tour! It’s amazing how many fantastic sites Greece has that aren’t UNESCO World Heritage listed – or even on the tentative list (Sounio is the one that sprung to mind). I have only visited some of these amazing sites! Thank you for your amazing and succint discussion of them. Maybe, at some point, I will be able to see them all.